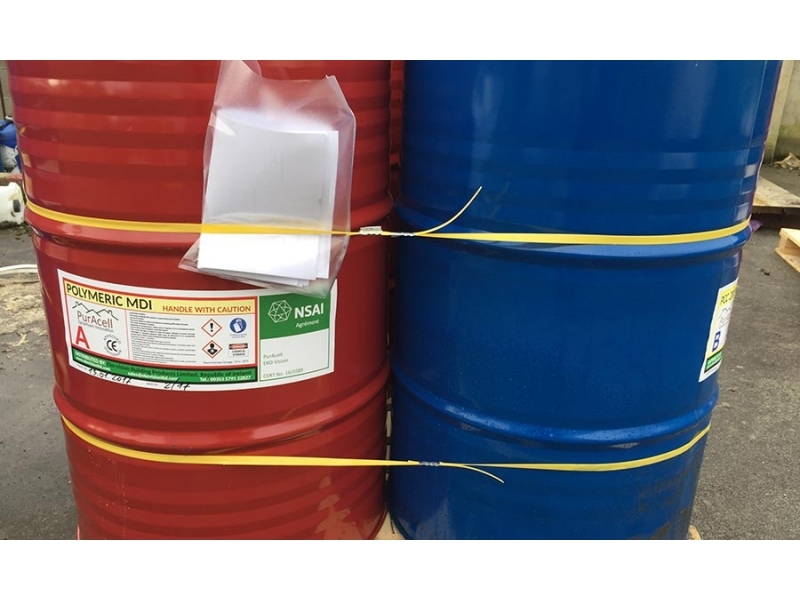 This is a closed cell foam normally used on commercial /industrial/agricultural type buildings for the control of condensation combined with heat retention. 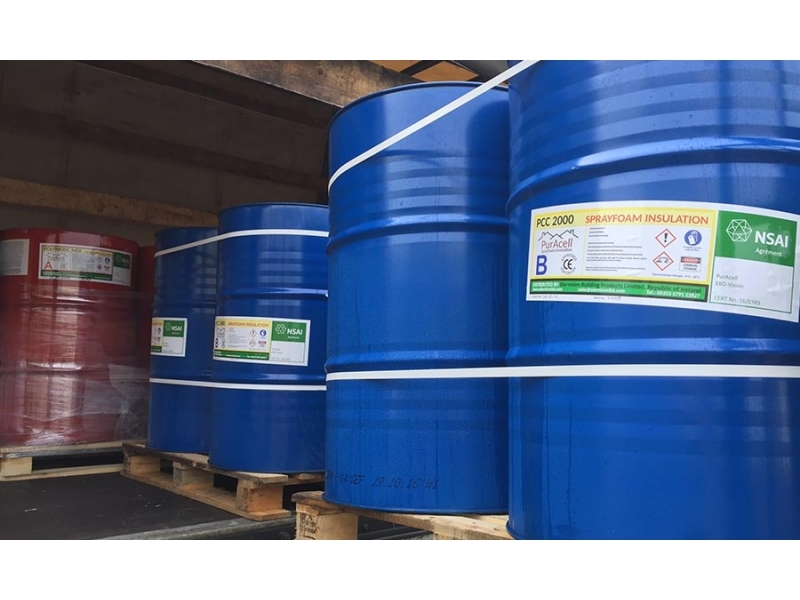 Other applications include marine applications and insulation of shipping containers. In fact closed cell foam is and can be used in many wide and diverse applications. 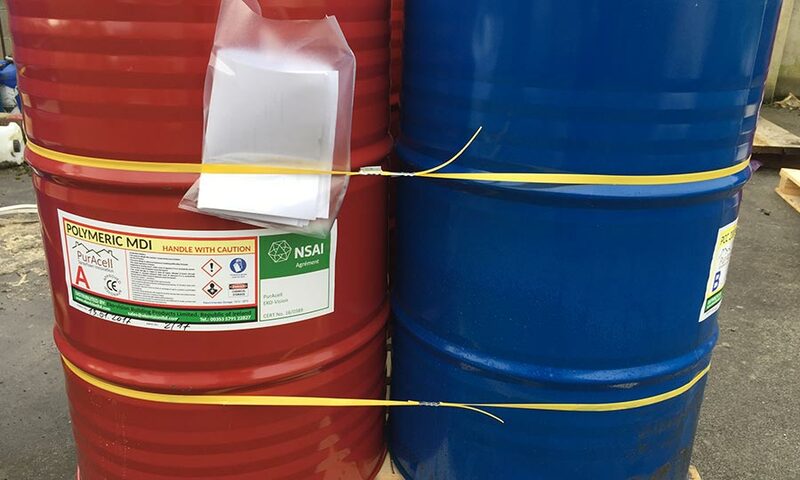 The most common application for PurAcell 500 is roof insulation for the achievement of excellent insulation values together with air tightness. Nothing can compare to this system for achieving both in either new build construction stage or for existing retrofit applications. The system is commonly used for timber frame stud walls also where good U-values and air tightness are of paramount importance. Sprayfoam was a popular method of insulation throughout the U.S. and Canada for over thirty years. 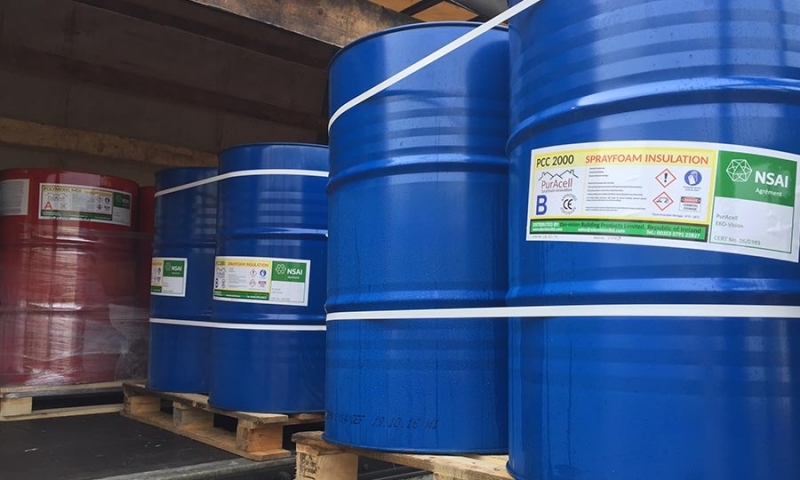 Nowadays the sprayfoam insulation product is used extensively throughout Europe and is regarded as cutting edge technology in the broader insulation industry. The sprayfoam insulation product excels in terms of achievable U-values and R-values, and totally outperforms alternative traditional methods such as board, batts and fibreglass. Installed in Ireland through a network of approved sprayfoam insulation installers, the PurAcell sprayfoam insulation system is available throughout the 32 counties of Ireland. 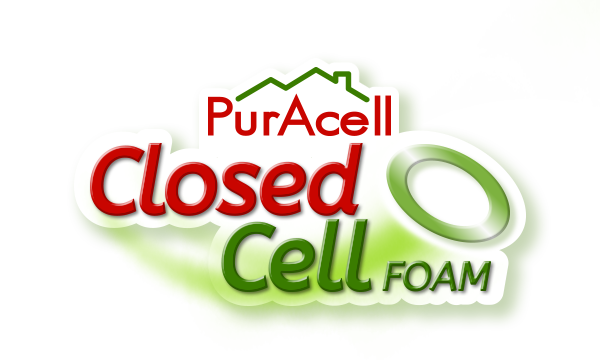 All PurAcell Sparayfoam Insulation installers are fully trained and experienced. 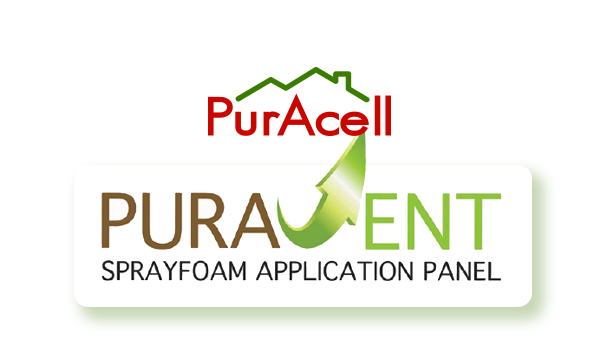 The PurAcell Sprayfoam Insulation system carries the coveted C.E. Mark and is certified by the N.S.A.I.